A couple weeks ago the Washington Capitals sat in last place in an underperforming Southeast Division, sitting six points behind the division leader. Not much has changed since. The only difference: they have gained minimal ground on the division leader, sitting just four points back. The Southeast Division continues to underperform. The Carolina Panthers, Tampa Bay Lightning, and Winnipeg Jets are tied atop the Southeast with 19 points each. The 8th place team in the Eastern Conference (Philadelphia Flyers) has 21 points. If the season were to end today, the Southeast division would field only one playoff team, by default. Hockey fans around the country would have great reason to question why a team with fewer points could be represented in the playoffs, and rightfully so. The Caps own sole possession of last place in the worst division in hockey. Through the first 11 games of the season the Washington Capitals posted a 2-8-1 record. The next eight games have seen improvement with the Caps recording five wins and three losses. Stagnant. Not much is going on in terms of gaining ground and momentum to prove themselves as a Stanley Cup contender. Since the Capitals three-game winning streak (beating the Panthers on a home-and-home series, followed by a win at Tampa Bay) one thing seemed to have fans looking up: Braden Holtby. First, let’s take a look at Holtby’s numbers over the 11 games leading up to a three-game win streak. Over these 11 games, Holtby played in only five games, being pulled in one. His save percentage during this period: a dreadful .857. Caps record during these 11 games: 2-8-1. Over these seven games, Holtby started and finished all seven. His save percentage: .937. This would rank third amongst season save percentages of goalies in the NHL. The Caps record over this period: 5-2-0. This game omits the most recent 4-1 loss at the hands of the Philadelphia Flyers in which Holtby stopped just 14 of 18 shots faced and was eventually pulled for Hershey Bears call-up Philipp Grubauer. Perhaps one of the most intriguing performances of the season for Holtby came at Madison Square Garden. Yes, he has posted two shutouts this season. 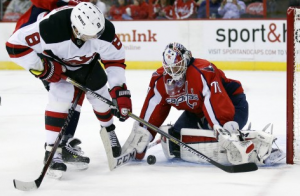 However ,at the Garden Holtby seemed fluid, relaxed, and in great position the entire game. He was making saves reminiscent of Olaf Kolzig, allowing just two goals on 40 shots. 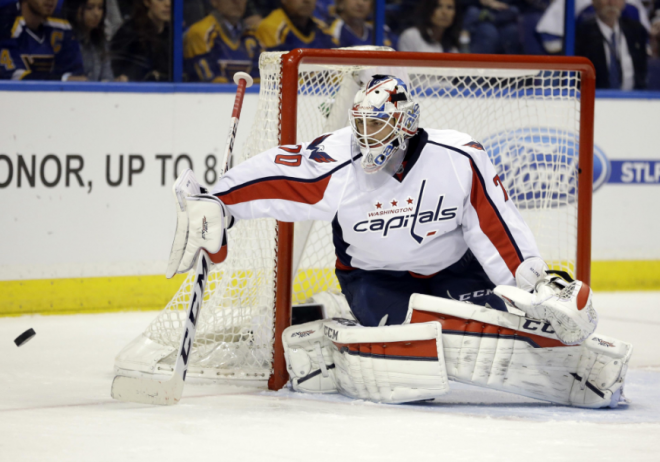 The Capitals contended for the full sixty minutes because of Braden Holtby. In recent games pucks seem to be bouncing off Holtby and angled towards the boards, leaving less opportunity for rebound goals. 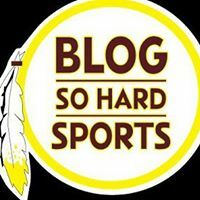 Looking at the numbers, the Caps need consistent netminding from Holtby to salvage their season. It’s time for the Capitals to start gaining significant ground on the Southeast Division and it’s time for a young, 23 year-old, goalie to show them the way.